"I have recently discovered a genealogy fact that probably many have already known. Please pay attention to oral history. What grandma or mom told you could very well be true and at the worse it will provide you with clues that can be verified or discredited. Many grandparents will tell you 'We have some Indian heritage in our family.' On my dad's side it was Cherokee. On my mom's side, Grandma Phoebe, it was Choctaw. I have proven with documentation and DNA that the Cherokee is correct. With the Choctaw, it is a work in progress. Recently I have tried to untangle my Mom's line with the White family. I have been told that they are all mixed up and this is true. As a researcher I love a good puzzle and have spent weeks reading and pouring over documents in strange places. So, to my present discovery about the Whites. My mom told me (oral history) concerning my gg grrandmother Julia Ann White and some of the scandalous stories about her. I was told Stewart White was a grandfather and always depended on other genealogist's posts about my Great Grandfather. When I began to think about what I was to, I was amazed to find that, although I might disagree with others, I am quite satisfied that what I was told was true. Many researchers have discredited my great grandfather's lineage and left BLANK as his parents. I have documentation as to his lineage and feel that I have finally laid him to rest. So, please pay attention to what you were told." 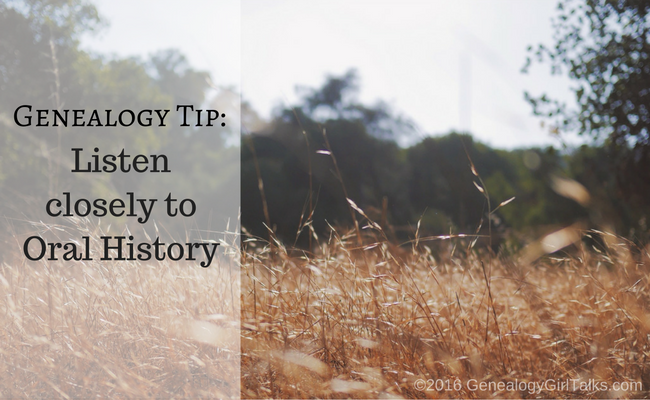 Thank you so much for your contribution and great Genealogy Tip, D. Hager!